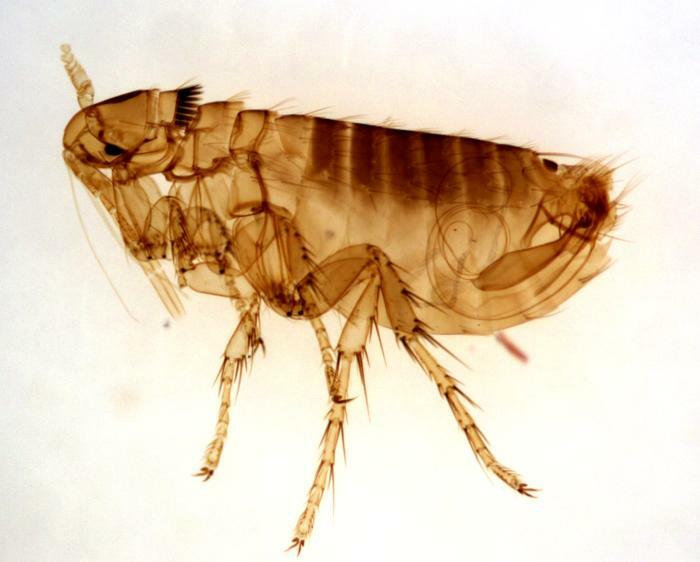 Fleas are small, wingless insects that bite and feed on blood. They are usually dark brown or a red-brown color, and their bodies are flat to allow them to move more easily through fur and hair. Fleas can jump very large distances, but they cannot fly. Their eggs are tiny and white, and can fall easily from where they are laid to rest on the ground. What do Fleas like to eat? Fleas are parasites. They feed on blood from hosts, which are typically furry animals such as dogs, cats, squirrels, rats, and other domesticated and wild animals. Flea larvae rely on the feces of adult fleas for nutrients. How do Fleas get into my home? Fleas typically ride into homes on a host, whether on a pet cat or dog that’s recently been outside or a mouse or rat that finds its way into your home. Once the fleas appear in your home, they will either keep feeding on their host or move on to other animals or people within their reach. What can I do to get rid of Fleas? There are steps you can take to help manage a flea problem, but once an infestation has taken hold, it’s wise to call a pest control professional to complete a thorough inspection to help manage and remove the fleas. -Be sure to thoroughly vacuum all areas of the home to remove adult fleas, pupae, larvae and eggs. -Treat your pets as recommended by your veterinarian. -Thoroughly wash and dry all pet bedding. Fleas can carry diseases and can be very difficult to get rid of on your own. Give us a call or shoot us an email and we will be happy to help you with your flea control problem! Click here to learn about Mosquitos!